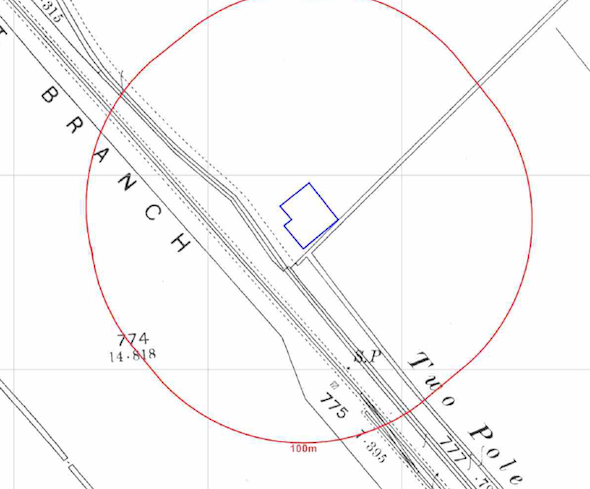 In order to discharge the contaminated land planning conditions attached to the decision notice for the proposed conversion of a barn to a dwelling (as a result of the sensitivity of the end use and the potential for the barn to have been used for potentially contamination activities) Demeter Environmental were initially commissioned to prepare a Phase I desk study report for the site. The review of the historical Ordnance Survey maps as well as aerial plates and street level images were reviewed, which revealed that the site was undeveloped until the late 1980’s, aerial plates and street level imagery did not provide any further information. The O.S. 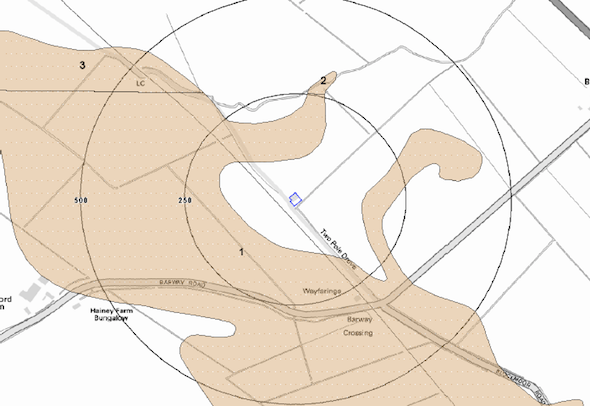 maps identified a railway line in close proximity of the site. Whilst the Groundsure report identified railway sidings to have been present on the site, this was not supported by the O.S maps. Data from Groundsure and the Environment Agency did not identify any other potential sources of contamination (including landfills) within 250m of the site. Geological maps published by the BGS revealed that there were no drift deposits on the site, with peat being present in close proximity to the site. The sensitivity of the groundwater was assessed using both BGS data and Environment Agency data on the underlying aquifer, the sensitivity was concluded to be of moderate sensitivity as the bedrock was a Principal aquifer. 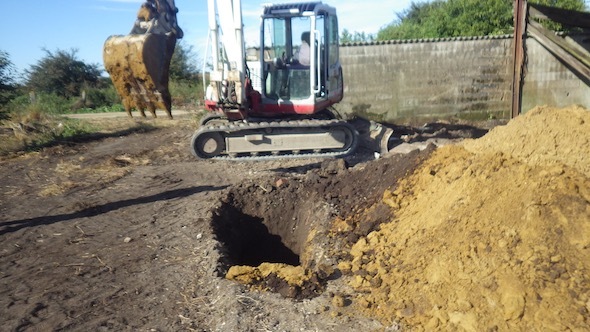 On completion of the a site reconnaissance visit was undertaken, which revealed that a number of stockpiles of demolition rubble were present on the site as well as broken cement sheeting. The qualitative risk assessment was undertaken on the potential sources of contamination identified in the desk study report and the made ground on site, building on site, damaged cement sheeting on the site as well as the adjacent railway line we all regarded as credible sources. 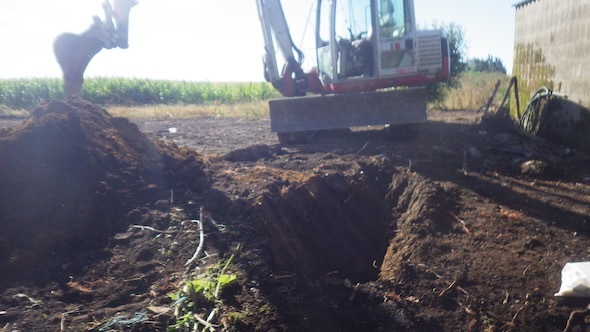 Based on the potential issues on the site further intrusive works were proposed, which was undertaken in September 2016 and comprised of the excavation of six trial pits across the site. The trial pits revealed the presence of made ground across the site, samples of which were taken for chemical analysis. The assessment of the soil chemical data indicated that the made ground on the site had the potential to impact on human health due to elevated levels of dibenz(ah)anthracene. Given as there were to be no garden or landscaped areas on the proposed development, the pathways associated with dibenz(ah)anthrace would be broken, negating the requirement for any further remedial works. Both the Phase I and Phase II site investigation reports were formally submitted in May 2017, and were accepted.